I decided to use this lovely stamp I bought before Christmas from Crafty Individuals, I coloured with Copics, the flower paper is a free one from Making Cards, the gingham is Crafty Creations I added some ribbon, enamel glitter dots and a sentiment. I do hope you can join in with us this time and take a look at the great inspiration from the design team. I am trying to catch up with things now so hopefully will be round to visit you all in the next couple of days, in the meantime have a good weekend. So sorry to read about your MIL, it's good that things are starting to settle down now. 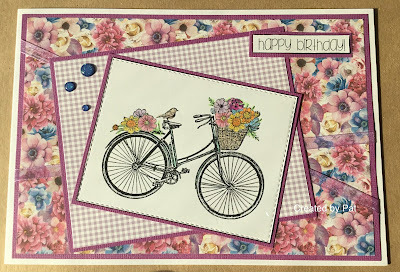 Beautiful card today, love your new stamp, fabulous papers and layout. It's great to see you back. So sorry to read the news of your MIL, Pat. My thoughts are with you and your family. Hey hun, so good to see you back crafting. I'm so sorry to hear your sad news Pat. 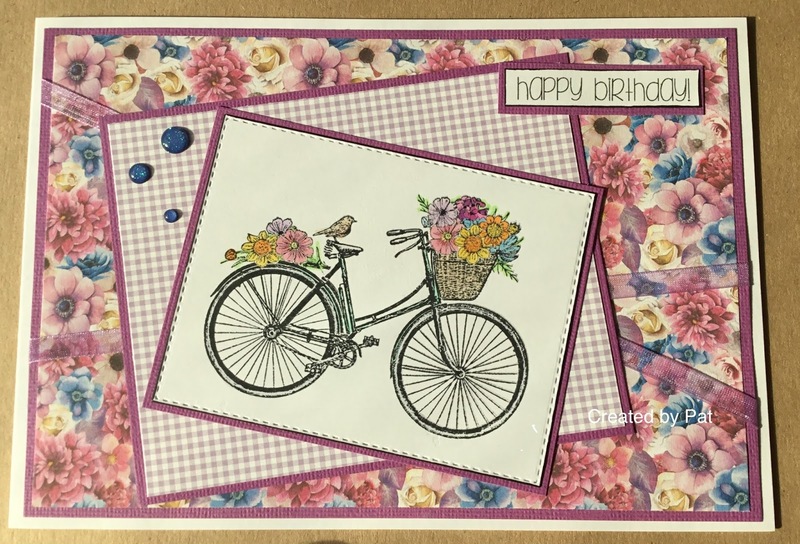 A beautiful card, a super bicycle and pretty papers.